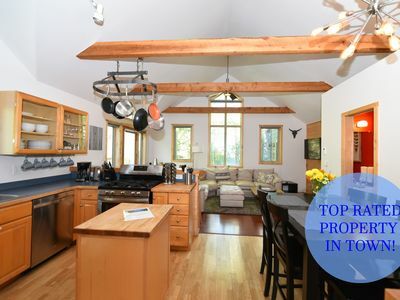 RATED AS A TOP HOUSE ON VRBO! 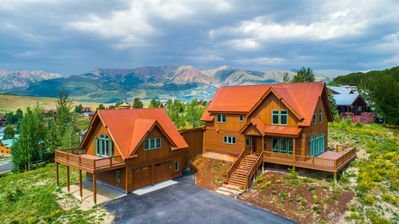 LUXURY LIVING & MOST INCREDIBLE VIEWS IN THE BUTTE!!! I compromised views and ots of room to run and play! PURE LUXURY, ECO-FRIENDLY, SUPERB IN-TOWN LOCATION, GREAT CRAFTSMANSHIP, GLOBAL ART COLLECTION & HERITAGE CHIC FURNITURE!!! The Carriage House is so special that many couples have stayed here for their wedding, honeymoon and even proposed marriage here! Love will love it! 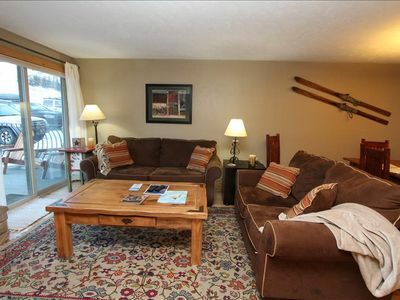 GREAT IN-TOWN LOCATION on the coveted western, historic side of town. 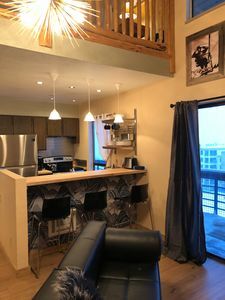 Being only 2 blocks from west Elk Avenue (the historic main street with boutique shops and wonderful restaurants), steps away from the free bus shuttle to Mt. 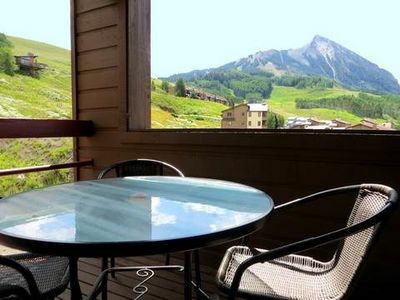 Crested Butte, a few blocks from multiple trails, and only 5 minutes from the Arts Center and playground -- no car is required when you stay in this perfect location! 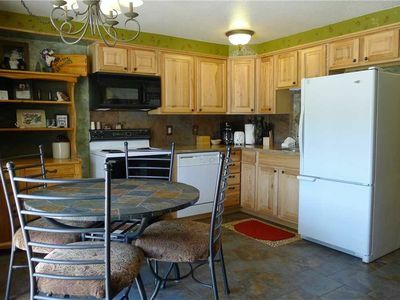 It is in the middle of it all, yet very quiet, surrounded by horse pasture and across from the last bit of open space on the western side of town! 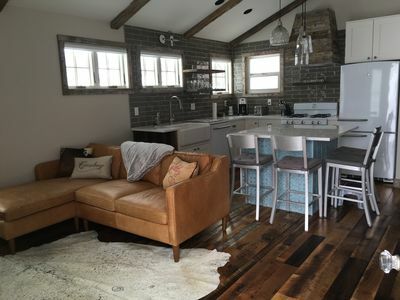 LUXURIOUS LIVING ... Two bedrooms and two baths with beautiful furnishings, luxurious- high-quality bedding and linens, and many other cozy comforts make The Carriage House perfect for a small family or two couples (max 4). 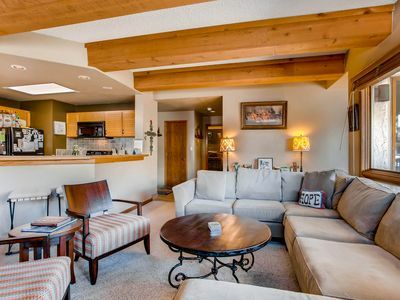 The upper floor has an open living space with vaulted ceilings over the GOURMET KITCHEN with steel island table with 4 stools (see stocking details in amenities) and the cozy living room where you can relax while taking in the amazing mountain views. 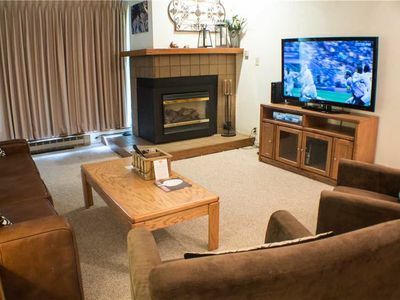 The living room is outfitted with the latest home theatre system, flat screen TV, cable television, FAST WIRELESS INTERNET, and a cozy fireplace. 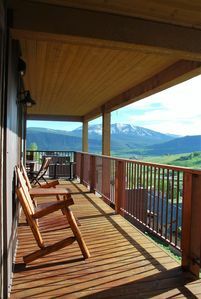 Off the living room is the deck for catching some rays and admiring the beautiful views. Also located on the upper floor is the cowboy bedroom with 2 antique spindle twin beds and a slate tiled bathroom with shower. 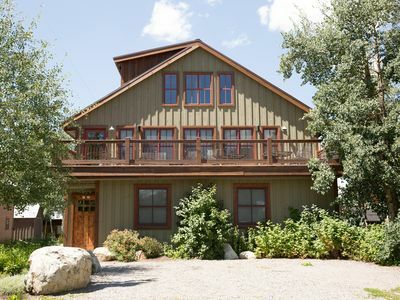 From the amazing 180 degrees view of the mountains, you can dine and relax on the outdoor patio complete with a Weber BBQ perfect for summer grilling, log double bench, teak wood table and chairs, and a big red market umbrella. 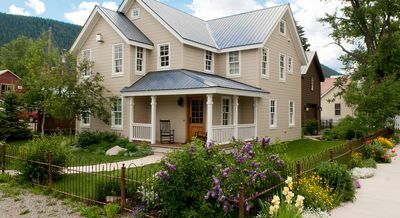 *****+ The Carriage House received the highest ENERGY STAR AWARD, 5 STARS PLUS, and is built with sustainability in mind, making every effort to use non-toxic products, reclaimed and certified wood, energy efficient appliances, solar panels, and many other eco-friendly materials to minimize our impact on the earth. 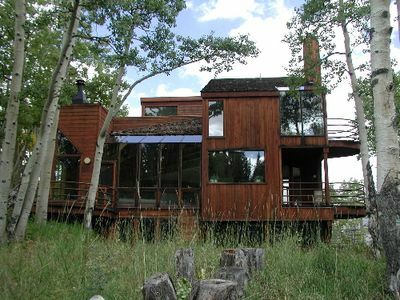 The house (900 sq ft) uses every inch of space in an eco-friendly well-planned architectural design. ROMANTIC GETAWAY PACKAGES AVAILABLE: Champagne, chocolate and rose petals ... or anything else you would like. The home was absolutely beautiful! It was very comfortable and in an excellent location. We were able to mill around town and go hiking and snowshoeing. Our dog loved all the open space and nature! Thank you for allowing us to stay there. I know it must be tough letting people stay in your home, but we took care of it as if it were our's. Thanks again. 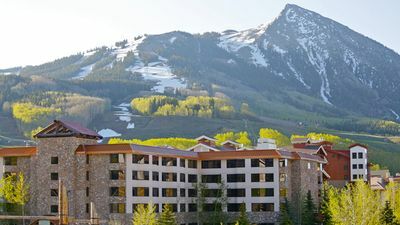 As usual, Crested Butte did not disappoint! We had a great week hiking, biking, enjoying the scenery, etc. We love your house! 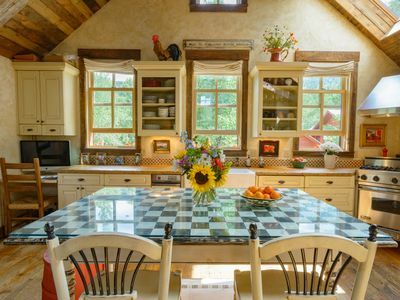 Several of the features of the house make it very special. And I would love to know the stories behind many of the decorative items! 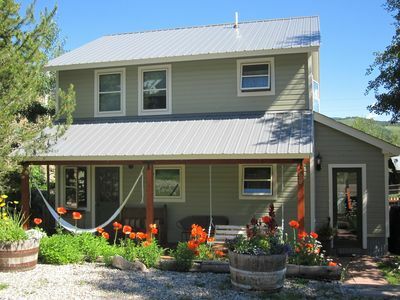 Keywords: House, cottage, cabin, view, luxury, star, ski, skiing, mountains, hike, hiking, biking, white water rafting, quality, antiques, art, special, discount, bike, wildflowers, snow, eco-friendly, solar, beautiful, in town, in-town, in town. 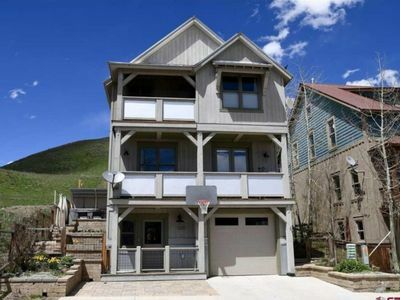 Mountain Views, On Shuttle Route with Pool and Hot Tub! 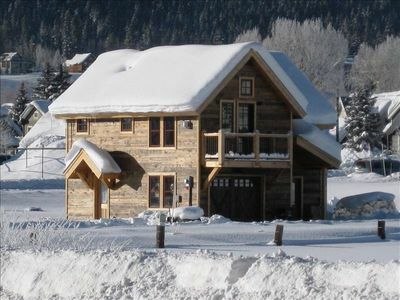 Ski-in 4 Bedroom Home Next to Goldlink Lift!!! 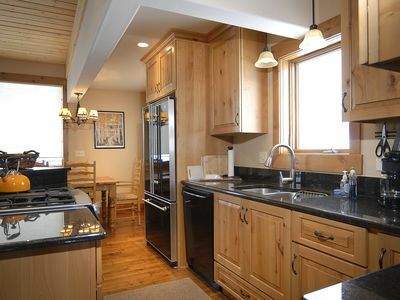 Bright w/ High Ceilings & Deck - 2 Blocks from Elk Ave in Quiet Corner of Town! 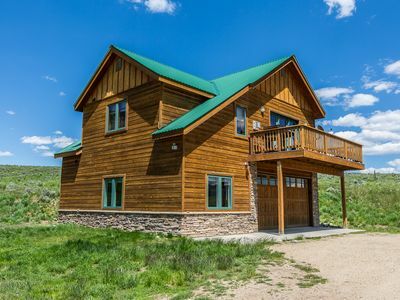 Amazing Views & Recently Remodeled!! 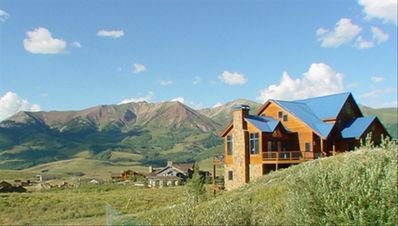 Luxury 5 Bedroom Home with Hot Tub, Gourmet Kitchen, Incredible Views!